John Watson, technical director and co-founder of Stoic studio, has discussed the lessons learned from making The Banner Saga. Speaking with gamesindustry.biz at India’s Nasscom GDC in November last year, he covers community engagement, the underwhelming launch of The Banner Saga 2, tweaking the final difficult final battle of the first game, and Stoic’s determination to finish the trilogy. For more innovative passion projects with quirky art styles, check out the best indie games on PC. Watson talks about what changed in Stoic’s approach between The Banner Saga and its sequel. Their first title was funded by an outrageously successful Kickstarter (raising $720,000 of an $100,000 target), and following a multiplayer demo and Stoic’s careful attention to their community, The Banner Saga launched to an engaged audience and great success. But Stoic found it “extremely demanding” to run a Kickstarter without a full-time community manager, and with the success of the first, didn’t see a need, nor a justification, to go back to their audience and ask for more money on the second. So they made some changes for The Banner Saga 2. “Let’s just close the doors, close the curtains, spend our own money and do it our own way, without having to answer to anybody,” says Watson. Stoic started to regret the change in approach when money started “getting tight”, and more so after launch. 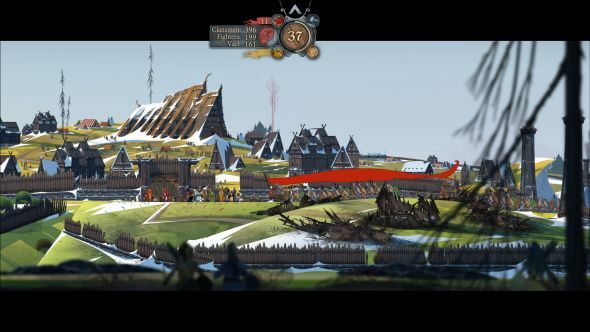 The Banner Saga 2 came out in April 2016, and in its first few months on Steam, sold around a third of its predecessor’s numbers. Competition was “a factor”, says Watson – The Banner Saga launched against 70 games in its first month, whereas the sequel faced over 400 – but he’s quick to identify things Stoic could have done better, chiefly community engagement. They’ve hired that full-time community manager, and that’s in a team of just six people. For anyone interested in The Banner Saga or the lessons learned in indie development, it’s well worth reading the full interview over on gamesindustry.biz.